Last week, I was asked to give an extended talk to a midweek group on this theme. This is the text I had before me when I gave the talk. I have a series of questions for you this afternoon. Here are the first two. Can you eat chocolate in Lent? And if so, when? To answer these vital questions, I bring you to another question: how many days are there in Lent? If you answered ‘forty’, then I invite you to count the number of days from Ash Wednesday to Easter Day (for Easter Day is when Lent ends). The answer you will come to is ‘forty-seven’. So what happened to the so-called forty days of Lent? Well, they are still there if you exclude the Sundays. And that’s the clue to my initial question about eating chocolate in Lent. Sundays were never regarded as fast days. They were still feast days. Hence, if you have given up chocolate for Lent, you can still eat it on Sundays. I think this illustrates the muddle we get into about Lent. We utterly confuse the beginning and the end of Jesus’ public ministry. The forty days of fasting make us think that it commemorates Jesus’ time of testing in the wilderness immediately after his baptism. But the way that time ticks down near the end, with Passion Sunday two weeks before Easter and Palm Sunday a week before, makes us think instead about the end of Jesus’ public ministry. Which is correct? The answer is that Lent is connected to Easter. In the early Church, baptismal candidates would be baptised on Easter Day, and Lent was their season of preparation. It was similar for those who wanted to be readmitted to the life of the Church after excommunication. Both groups needed a period of reflection and repentance. Eventually, however, the Church came to see that a season of reflection and repentance would be good for everyone. No Christians are exempt from the need to examine themselves before God, and giving over a particular time of the year for everyone seemed to be a good idea. It doesn’t change the fact that this is something we need to do all year round, it’s just that sometimes dedicating a specific time to this underlines it. Similarly, every Sunday is a celebration of the Resurrection – that’s why we worship on a Sunday and not on Saturday, the Jewish Sabbath – but we still give particular stress to the Resurrection itself on Easter Day and in the Easter season that follows. This, then, is why we give things up for Lent – not to mimic Jesus’ fasting in the wilderness but for another reason. Fasting is the giving up of something good for a season in order to dedicate that time especially to God. If we give up something in Lent, it is for this self-examination in the power of the Holy Spirit. Churches may try to reflect this in the tone of their Lenten worship. Liturgical churches will omit the Gloria in Excelsis during this time, they will have no flowers in the sanctuary and they will avoid hymns that include the word ‘Alleluia’. How this sits with the idea that Sunday is still a feast day, I have never been sure. It also requires a tricky navigation in order to reflect a sense of discipline but not of dreariness. At its best it provides a suitable contrast for what is to come on Easter Day, although when we get to thinking about Good Friday in a few minutes, I shall want to pose some questions about how we regard the darkness of that day. But let us now move onto Holy Week, which we begin on Palm Sunday. I cannot think of Palm Sunday without remembering a neighbouring Anglican church which always brought a donkey into worship on that day. The reason I cannot forget – and was not allowed to forget while I was there – is that the donkey had a name. He was … Dave the Donkey. You can imagine the comments. Traditionally, we see the Triumphal Entry as the beginning of the week which led to Jesus’ death, and this has been held in the Church since the fourth century AD. However, there is no certainty in Mark’s Gospel, the first Gospel to be written, that Mark understood Palm Sunday to begin that week. It comes in chapter 11 of his account, but he doesn’t mention the Passover until chapter 14. Nevertheless, it is fitting in that the way Jesus enters Jerusalem on a donkey ramps up the tension between him, the religious leaders and the power of Rome. In his recent book ‘Simply Jesus’, Tom Wright calls the clashing of these three powers ‘The Perfect Storm’, and that is what we are about to face in Holy Week. We can have all the fun we like, waving palm branches and singing ‘Hosanna’, but the reality is that the conflict is being ramped up, and the subtext of Palm Sunday is that this is going to end badly for someone. Blood will be spilt. It happens that because we know the rest of the story, we know whose blood it will be. But if you were in that crowd when Jesus rode in on the donkey, you probably wouldn’t have seen that, just as his disciples couldn’t understand his repeated prophecies that he would be betrayed, suffer, die – and be raised from the dead. But let us move on from Palm Sunday, without immediately doing what many Christians do, which is jump over several days. If we’re lucky, we’ll only jump to Maundy Thursday with the Last Supper and the washing of feet. Some will at least jump to Good Friday. Many, though, take leave of absence until Easter Day itself, missing out the unpleasant, gory parts of the story. It’s why in the Lent Course this year we’ve tried to reflect on some of the incidents while Jesus was in Jerusalem during that final week, as the tension increased. It’s common in more Catholic circles to take a particular journey with Jesus leading up to the Cross, a journey you will have heard of – and perhaps experienced – called The Stations of the Cross. Some churches have icons depicting the story, as did an ecumenical church I served in Chelmsford. Some dramatise it – my first experience of the Stations was to walk around the streets of the City of London, seeing actors perform the story. As a crowd, we walked with the action. In one previous appointment, I joined with the local Anglican and Catholic clergy in each taking a meeting once a week in Holy Week to explore the Way of the Cross. This, though, comes after Maundy Thursday, with its encircling darkness. You feel the discrepancy between Jesus and his disciples. They aren’t picking up all he has warned them about, so much so they are still arguing about status and greatness and looking forward to a good Passover meal. All the time, Jesus knows what is coming. The betrayal happens, you get those evocative words in John’s Gospel, ‘And it was night’, and the lights go out. We’ll be reflecting that here in our Maundy Thursday service when this year we follow the Tenebrae tradition. Candles will be extinguished, one by one, until finally all is dark. At least, I keep calling it ‘Maundy Thursday’, but there is an argument for it being Tuesday. There are a couple of days missing from the sequence of the Gospels in Holy Week, and one possibility is this: could all the trials Jesus faced really have taken place in one night? It might also explain the problem with night-time trials, which were illegal. But whether the trials drag over forty-eight hours or are compressed into one night, Jesus is arrested in Gethsemane after one of the most powerful scenes in the Gospels for showing how much he identifies with us. Not only does he identify with our sin at his baptism and on the Cross, we recognise his full humanity in the Garden as he wrestles in prayer with the suffering that is to come. All that goes, though, and off he is taken to trials that are a mixture of stitch-up and political expediency. Pontius Pilate is in a weak position, politically. Although he has all the power of being the imperial power’s official representative, he had previously offended Jewish sensibilities about the Temple. The Jewish leaders had sent a delegation to Rome to complain about him, and now he knew that one further false step could lose him his job. So although at first he resists their requests, ultimately he cannot deny their pressure. The loser, in human terms, is Jesus. And now off he goes, on the Way of the Cross, the Via Dolorosa. Mel Gibson’s film, The Passion of the Christ, may have horrified many, but it did not spare any detail as to the true nature of first-century Roman floggings, torture and execution. Many prisoners died just from the flogging. But Jesus carries his cross beam, the visual sign to all who watch that he is a condemned man. He is on his way. It is his great journey. It reminds us, amongst other things, that we have not ‘arrived’ spiritually. So often we talk about faith as if now we have found Jesus Christ we have arrived. But we haven’t. It’s like that wonderful U2 song ‘I still haven’t found what I’m looking for’, where Bono affirms his belief that Jesus died for his sins but still insists he hasn’t found what he’s looking for. Why? Because he’s still on the journey. He hasn’t come to the fullness of God’s kingdom yet. And neither has Jesus. The climax will be the Cross. In the eyes of the world, he will be humiliated there. In his own estimation – and his Father’s – he will be enthroned there. When he is ‘lifted up’ he will draw all people to himself. This is the wonder of the Christian faith. What the world considers shameful we say is glorious. Our Muslim friends have a big issue with the Cross. The Qur’an can be read as denying that Jesus died on the Cross, but that he was snatched away and someone else died there instead. They have a terrible problem with the idea that Jesus would have to endure this. Indeed, if he did die on the Cross it is for them one further strike against the idea of his divinity, because surely God would not be humbled and humiliated like that. Yet the Christian says yes, that is precisely what happened, and that is the wonder of the Christian faith. Our Lord was even willing to taste the worst humiliation in identification with humanity at its basest in order to bring salvation. Our account of God is not about One who is remote from suffering and evil, it is about One who is deeply involved with blood-stained hands in fight against it. All of which brings me to two contrasting stories. See what you think of these. Story number one: I am in a vestry before a Good Friday service. The steward prays for me before the service. The whole tone of his prayer is about how Good Friday is the worst day of the year. He seems to miss the word ‘Good’. Story number two: I am an enthusiastic young twenty-something Christian, and I am at the annual joint Free Churches Good Friday service in my home town. It is being held at the Baptist church, but my Methodist minister is speaking. He introduces a worship song that was popular at the time. It begins with the lines, ‘I get so excited, Lord, every time I realise I’m forgiven.’ The congregation sings it – like a dirge. Michael, my minister, berates the assembled throng for this. “Can’t you understand on Good Friday the joy of being forgiven through the Cross?” he asks. How do you respond to those two stories? Had the church steward missed the heart of the Gospel? Was my minister belittling the sufferings of Jesus? Somehow we have a difficult tension to hold together on Good Friday – both the sorrow for our sins which took Jesus to the Cross, and yet joy that he was willing to do that for us. Like so much of life, we have to live with tension. It’s like the question of the tone you set for a funeral. Is it to grieve, or is it – as is more and more requested these days – a celebration of the deceased’s life? Grief or celebration? Actually, I think you need both at a funeral. And the greatest tension – or paradox – is on the way at this point, the tension between Good Friday and Easter Sunday. Some major on one, but not on the other, yet we have to hold to both. One of the greatest theologians of the last fifty years, a German called Jürgen Moltmann, says we need to speak both of ‘The Resurrection of the Crucified One’ and ‘The Cross of the Risen One’. But in terms of our own lives, we are awaiting our own empty tombs. We shall die and await the great resurrection of the dead. We live in that time between Good Friday and Easter Day. We live on that one day we so rarely mark in the Christian calendar, because we are too busy getting ready for Easter morning. We live in Holy Saturday. (Not Easter Saturday, by the way, because Easter only starts when the Resurrection has happened.) Holy Saturday is that time when Jesus is still in the tomb. That is where we spend a lot of our lives. Suffering is real. It takes its toll. Prayer seems unanswered, and God’s great deliverance has still not come. It’s quite appropriate that Holy Saturday this year is when one of our church member’s ashes will be buried in Bisley churchyard. She awaits her great deliverance, her resurrection after her suffering. And so I won’t move on in this exposition of the season to talk too much about Easter itself. We’ll have plenty of opportunity here on Easter Day and in the succeeding weeks, when we are going to delve deeply into the meaning of the Resurrection. We’re going to close these reflections at Holy Saturday, because it is where many of us exist. Often we are in that cold tomb, with grave clothes wrapped tightly around us. No one really talks about Holy Saturday, yet if we stop and think about it, it’s where most of us live our lives. Holy Saturday is the no-man’s land between questions and answers, prayers uttered and miracles to come. It’s where we wait – with a peculiar mixture of faith and despair – whenever God is silent or life doesn’t make sense. As we turn to explore the silence of God, we are compelled to address the problem of unanswered prayer more literally than we have done so far, examining the times when God simply doesn’t reply to us when we pray. It’s not that He’s saying ‘yes’, ‘no’ or ‘not yet’ to our prayers; it’s that He’s not saying anything at all. We pray and pray but God remains silent. But … Sunday is coming. And we can eat chocolate. Posted on April 4, 2012, in ministry, Religion and tagged Easter, Holy Week, Jürgen Moltmann, Lent, N T Wright, Pete Greig. Bookmark the permalink. 5 Comments. Holy Saturday – I hadn’t thought of it that way before. And I’m looking forward to my chocolate (Lindt, of course) on Sunday. 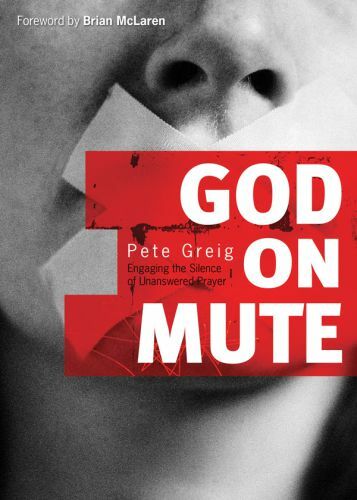 I can’t recomnwnd the Pete Greig book too highly, Pam. Oh, and enjoy your Lindt!